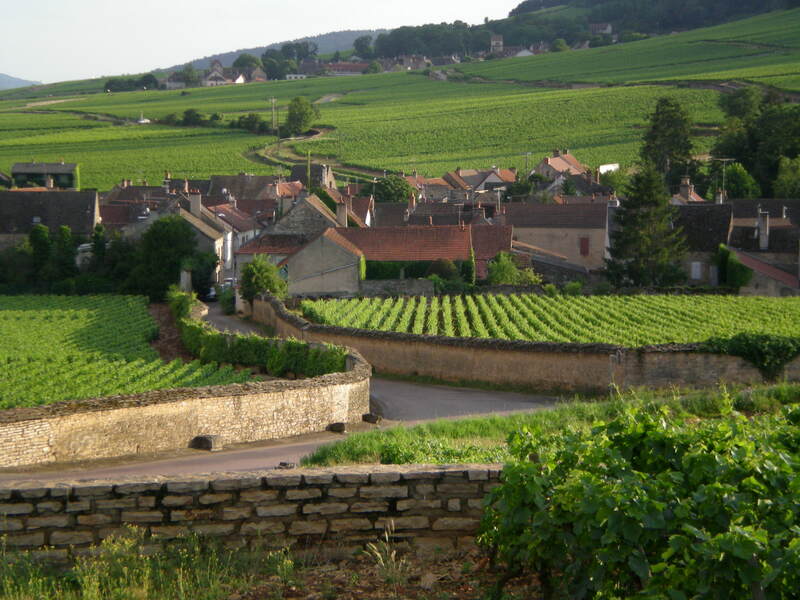 Pommard is a wine appellation that produces excellent red Burgundy. 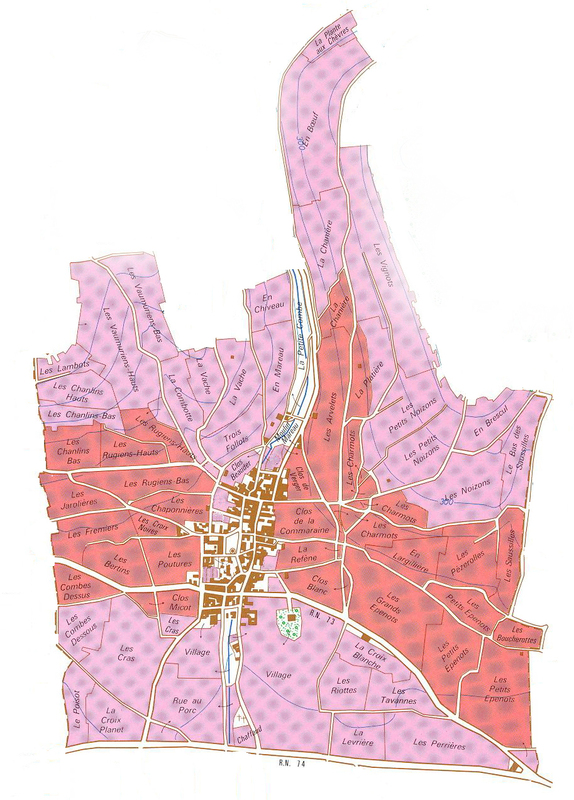 Wine so labeled must come from Pinot Noir vines planted in the commune of Pommard situated in the Côte-de-Beaune region of the Cote d’Or department of Burgundy in eastern France. 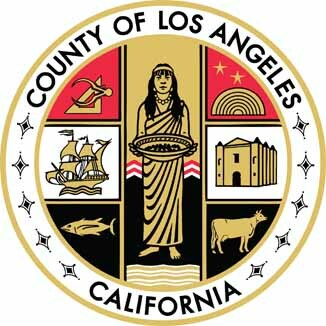 appears in full golden mufti on the Great Seal of the City of Los Angeles and whose bare pulchritude is captured by a demure statue now situate in the fountain in front of the Plaza Hotel in New York City. The commune of Pommard lies immediately adjacent to Beaune, and begins at the point where the Route forks into the Autun Road (RN 73) and the RN 74. Pommard is generally square-shaped with a center band, running more or less north-south, containing the 24 Premier Cru parcels totalling 125.19 hectares, and 211.63 hectares of village-level Pommard. Total production averages around 13,532 hectoliters of wine per year, entirely red. There are presently no Grands Crus although Rugiens-Bas is expected to be promoted and Clos des Epeneaux would also be deserving. The prime vineyards in Pommard are generally thought to be located either on the Beaune side, where are found Les Pézerolles and Les Epenots; or to the south of the village, notably Rugiens-Bas. Interestingly, these two sections produce wines of distinct contrast. The stonier, better-drained soils of Les Pézerolles and Les Epenots produced finer, more delicate wines, whereas the iron-rich, clay soil of Rugiens-Bas produces more powerful and richer wines. The vineyards of Pommard generally face south and southeast. The soil is somewhat varied in the commune, although there prevails generally a subsoil base Argovian limestone with an admixture of ferrous clay and marl. The thinner and rockier soils are found, not surprisingly, on the slopes above the city toward Beaune; and these give way to increasingly ferrous clay soils as the slope continues downward toward Volnay. Only in the area above the Epenots wall, along the Autun Road, is there much calcareous debris and pebbles. Among the finest producers of Pommard are Domaine de Montille and Comte Armand (Clos des Epeneaux).